Some of the most successful food establishments in the industry have the ability to lure in customers with delightful tastes and a tempting atmosphere. Sure, paying close attention to the food, the customers, and the ambiance of your business is a great way to attract an audience. But with a menu? Well, it certainly ties it all together. 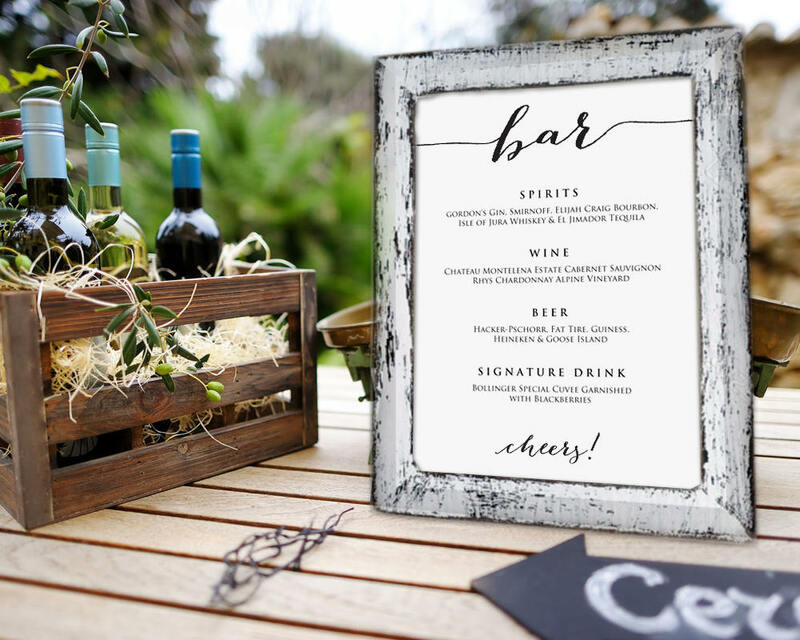 Restaurants, fast-food joints, and other food establishments all have their own type of menu design, where its elements depend on the nature of the business being run. 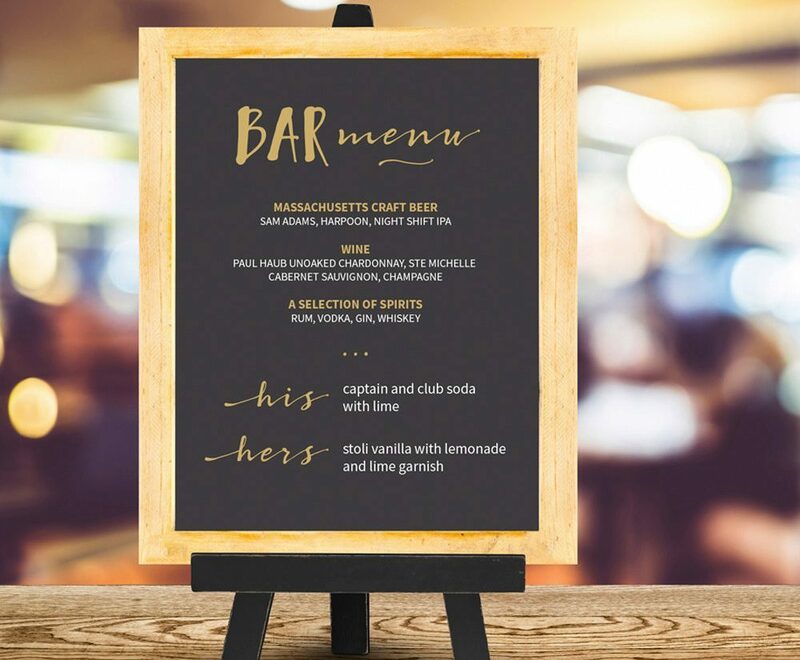 However, it can be quite different when creating a bar menu, since the market you serve are generally part of a specific category. There’s always the possibility of your menu being a hit or miss among your customers, so choosing the right type of menu to use and learning the basics of menu psychology is essential. 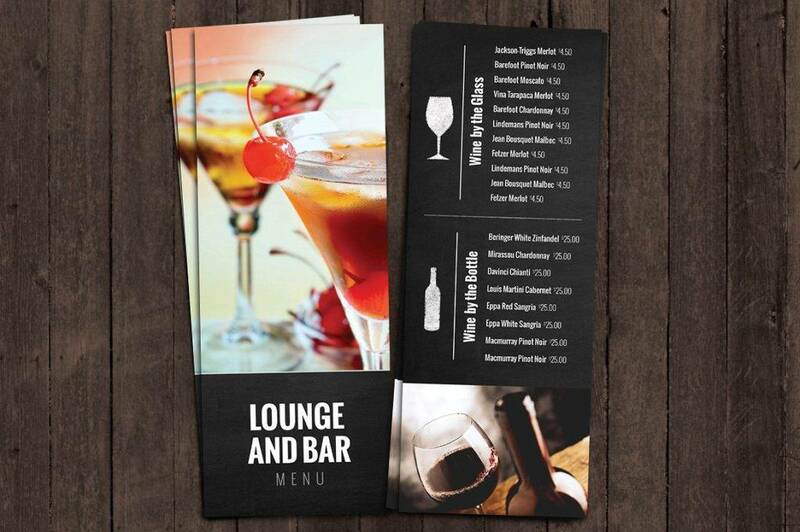 There are specific types of bar menu designs that are best suitable for certain occasions and businesses. 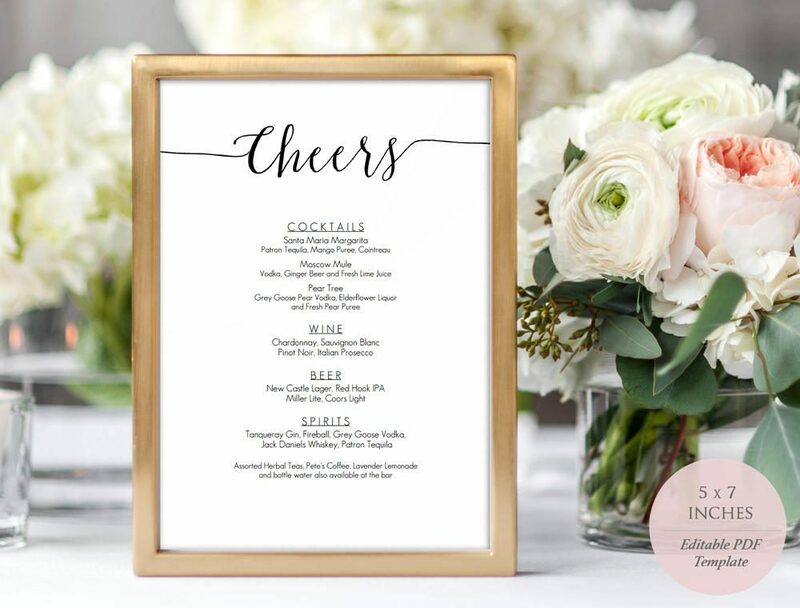 Although a simple hand-held menu would be the most practical design to go for, you might want to consider other options to help emphasize your menu to guests and customers. Weddings are grand celebrations that are ideally formal in nature. From the bridesmaids’ dresses to the table arrangements, every design element contributes to the overall look and feel of the occasion. But who knew bar menus play a part in all of this as well? 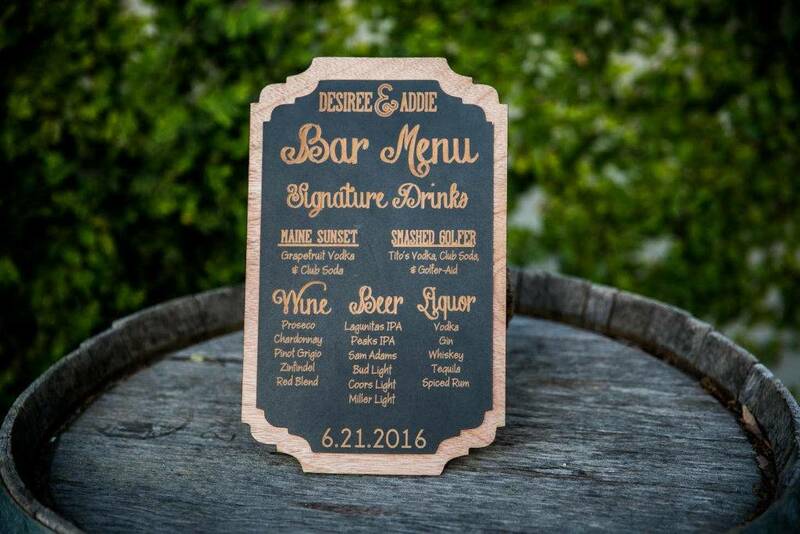 Table menu cards, menu sign boards, and chalkboard menus are the common menu designs used for catering weddings. 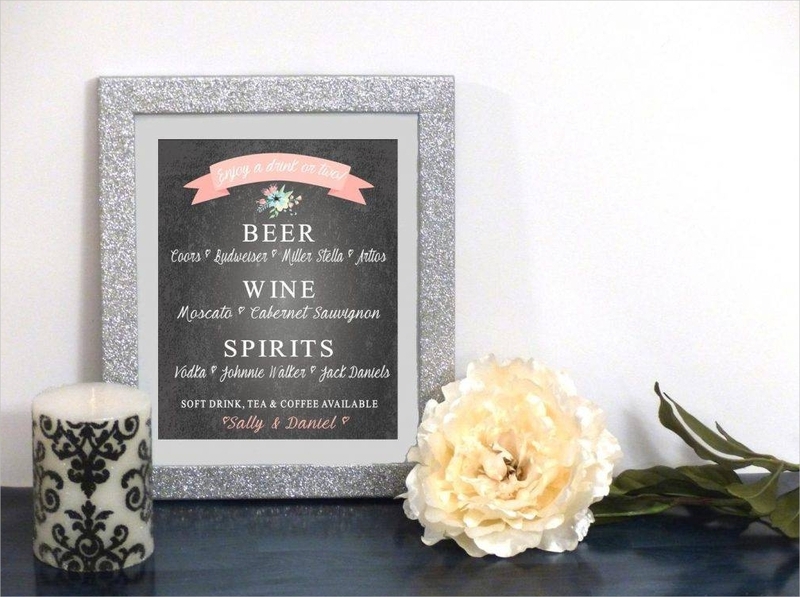 These menus typically showcase a variety of wines, beers, cocktails, and other liquors. 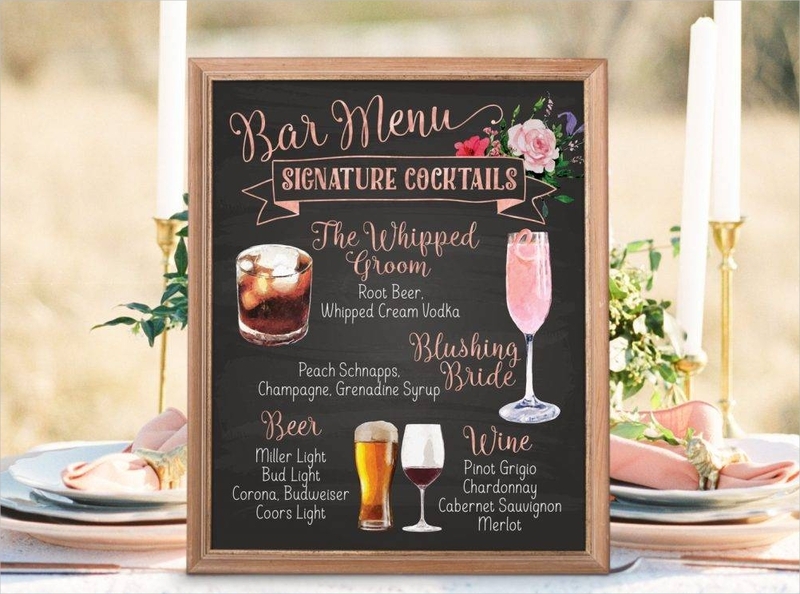 Some caterers even like to get creative by categorizing drinks according to a “his & hers” type of arrangement, where the suggested drinks are sectioned based on the male and female preference. 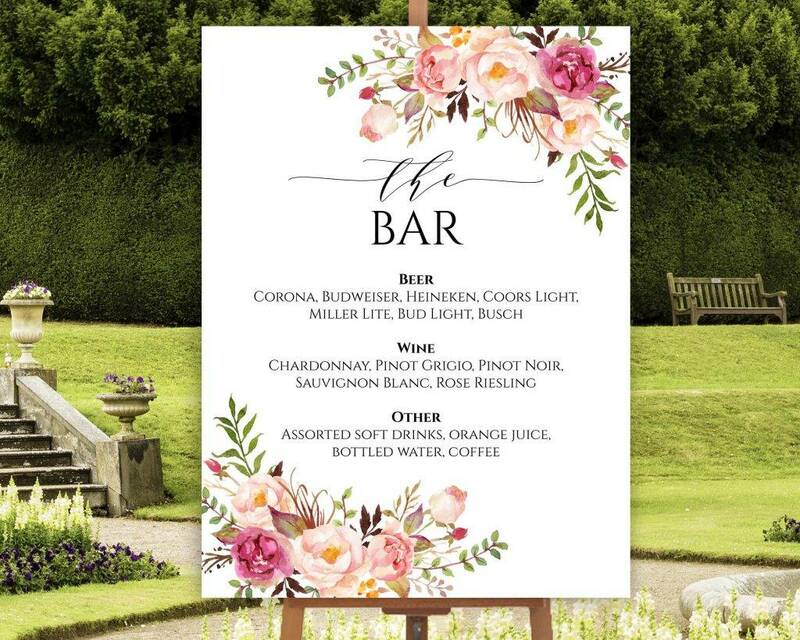 Similar to weddings, hotel bars are formally designed for guests to relax and unwind. 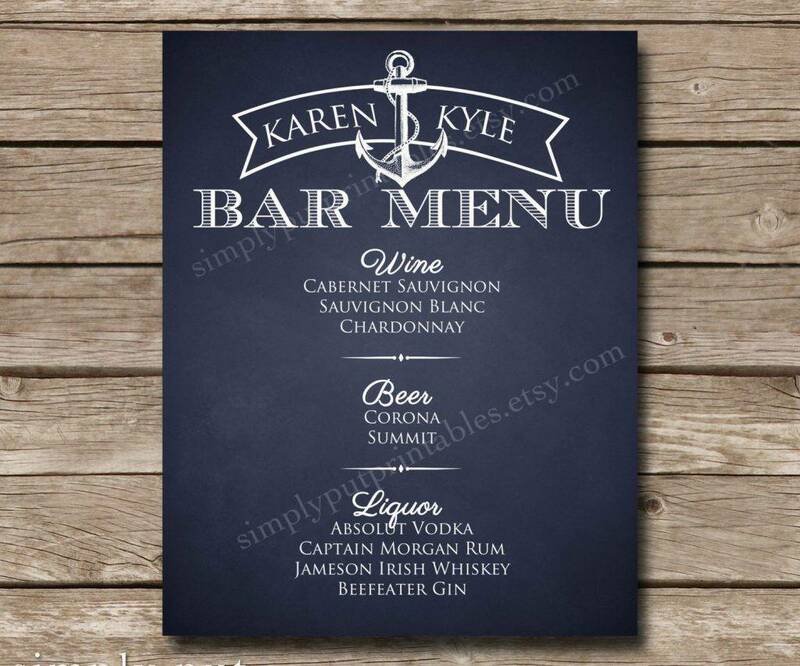 But a hotel bar menu is no different from the regular food menu, where drinks are listed on a special type of paper or card. There may also be instances when these drinks are displayed on a signboard at the entrance of the room or beside the actual bar instead. Luckily, for those who would rather enjoy their drinks inside their respective hotel rooms, some establishments include drinks on their regular room service menus for you to order from. Not a lot of restaurants have actual bars inside their own establishments, except for those fancy, high-class type of restaurants that serve exotic dishes at a price that could leave us brown bagging it for the rest of the week. 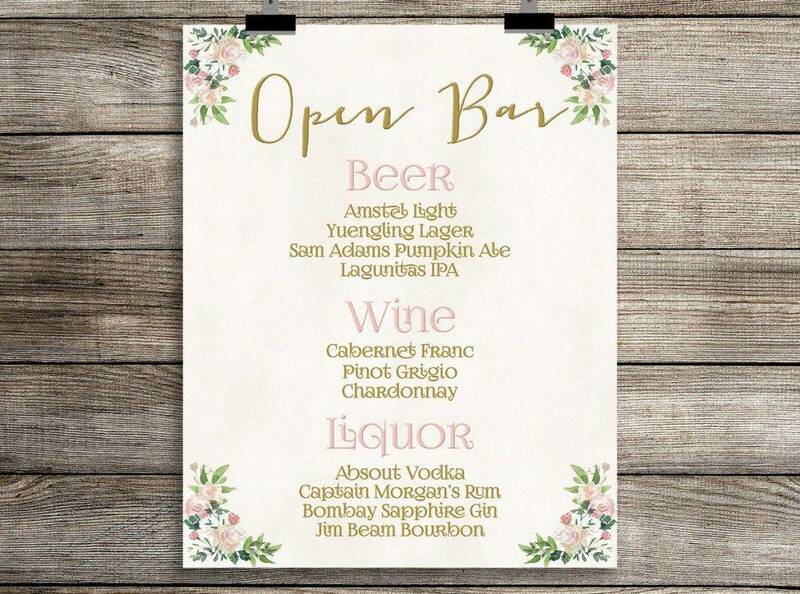 So for those who do, these liquors and mixed drinks are either presented on a separate cocktail or drink menu or along with other food items offered at the restaurant, as some restaurants do serve alcoholic beverages to sit-down dinners. Who would ever go to a nightclub without the intention of drinking alcohol, right? While the smell of smoke and cheap alcohol isn’t for everybody, you have to admit, a nightclub rendezvous wouldn’t be complete without devouring a couple of mixed drinks throughout the night. So as a club owner, one of the best ways to earn a profit is to sell as many drinks as possible every night. 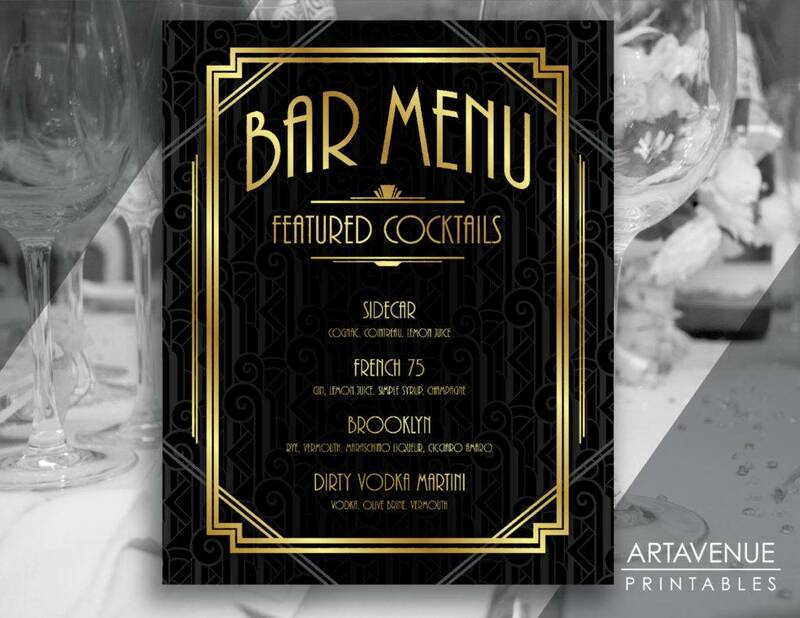 Some nightclubs opt for the traditional paper or card type of bar menu design, while others like to kick it up a notch with an eye-catching digital display. After all, nightclubs are meant to be dark, flashy, and somewhat psychedelic in nature, so a bright digital display would definitely keep the party vibes rolling. When you first set foot in a restaurant, your senses immediately awaken from the sweet smell of food and the soothing music that fills your ears. As a restaurant owner, you want to give your customers a positive experience all throughout their stay. So you need to bear in mind that something as simple as your menu can affect a diner’s perception towards your business. Finding the right balance between being “too little” and “too much” can be a challenge for most menu engineers, as this can greatly affect a customer’s decision. You see, a menu that’s thick enough to be a catalog can be quite overwhelming for some, as this can often pressure an individual to order something while a waiter patiently stands nearby. For a menu to work effectively, it would be best to keep your menu items in plain sight by organizing dishes into their corresponding categories, using clear section headings, and applying other visual techniques. In average, a person spends about 109 seconds scanning through a menu. So with the little time available for an individual to fully take in every item on the list, you need to find a way to make the best impact. First things first, the menu has to be easy to read. That being said, observing proper alignment and a strategic food placement would be a great way to draw attention to particular dishes. Remember, most individuals scan a menu in a z-shaped pattern, starting from the top-left corner of each page. Items found in these areas are often the most profitable, so you must find way to make the other items on the menu seem more appealing to customers. You could either group dishes into boxes or use high-quality images for that extra push. We all know how color theory is put to use in almost every advertising medium, anything from a logo design to a marketing flyer. But when designing a menu, it’s all about highlighting the brand and triggering an appetite through the use of colors. However, this is more than just painting your menu with the shades of red and blue, as this also includes the color of the graphics used, as well as the images added to the design. It’s important to make sure that these colors successfully complement one another for it to work. Remember, people always pay attention to aesthetics. Let’s be real, seeing how much we’re paying for something that we really like can sometimes ruin the whole moment. So instead of ordering what we want, we opt for a cheaper alternative instead. Generally, pricing your goods can be quite tricky. You have to find the perfect balance between making a profit and not driving customers away. Fortunately menu engineers have found a way to give restaurant owners the best of both worlds. To do so, it would be best to list the price of each menu item without the use of a currency symbol. This can help soften the amount listed, making the customer feel comfortable to order more items from the menu. Adding an inviting description to each menu item is enough to make a dish appear even more appetizing, but who says you should stop there? You can go the extra mile by creating a witty or nostalgic dish name, and attaching a mouthwatering photo to go along with it. Some restaurants take advantage of this strategy by listing each dish by their Italian or French name. By doing so, it greatly affects a customer’s perception towards a dish, making it seem more exotic and unique than it actually is. Chances are, your customers will likely feel deceived by your clever tactics, but you could always make up for it by satisfying one’s taste buds. Going in a restaurant, do you know exactly what to order before even seeing the menu? It might be impossible to do so if the establishment is completely foreign to you, but it’s also likely if you have visited the place over a dozen times, right? As customers, we all know that a menu is used to list the food and beverages offered at the given establishment we’re in. But for restaurant owners, a menu is considered to be a powerful marketing tool. Imagine how difficult it would be for diners to order their meals, without having any knowledge of what you have in store for them. But even as a loyal customer to a particular restaurant, we always feel the need to check their menu. It could be that we might want to try something other than our usual orders, or probably because some restaurants like to switch things up by adding new dishes to their menu every now and then. It’s the thought of giving your guests a wide selection of items to choose from, not just to ensure they get what they want, but also as an invitation for them to come back and try another dish that caught their eye during their last visit. A menu is more than just your average marketing tool, as it serves as a point of communication between you and your customers. Apart from the service you give and the ambiance you create, the menu plays a significant role in an individual’s overall experience. It’s a win-win scenario of satisfying hungry customers and earning a good profit.